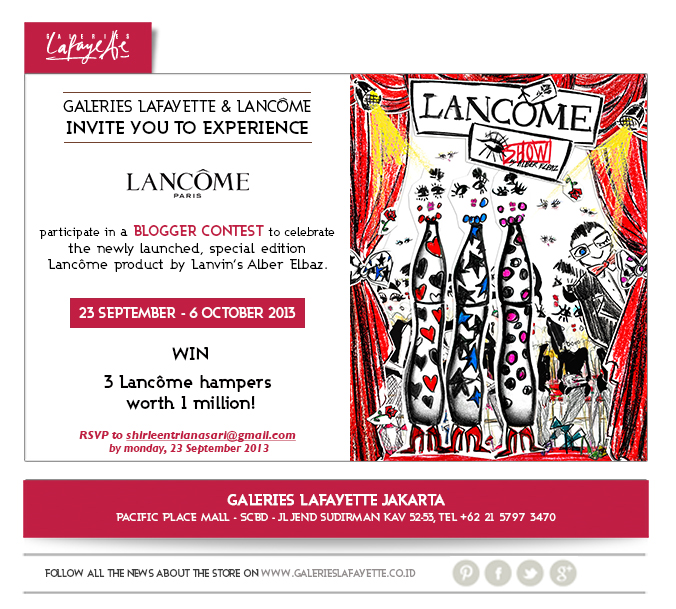 Hello all, few weeks ago, I was invited by Galleries Lafayette to join their blogger contest to celebrate the newly launched, special edition Lancome product by Lanvin's Alber Elbaz. So what is really special with this special edition? Lancôme is delighted to announce an exceptional collaboration with one of the most highly-acclaimed names in fashion: Alber Elbaz. More than any other designer, he has shown his ability to renew conceptions of femininity with a simultaneously quirky and couture style, creating a breed of luxury that is definitely contemporary. His approach is naturally in tune with Lancôme, a brand symbolic of joyful femininity. 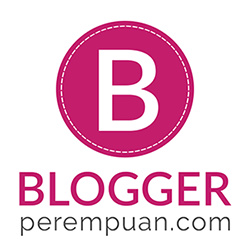 So, together with other bloggers, I had the chance to try out the products on my face! Kyaaa, cute Lancome after always be elegant and simple? I'm happy for this special edition! All products used that day are from Lancome, starts from skin care up to the makeup which are from Alber Elbaz collection. counter which is full of lipstick; my favorite makeup product! And here's the final look for my Lancome Alber Elbaz DOLL/STAR Look! me and mr. Elbaz peeping! THANK YOU GALLERIES LAFAYETTE FOR THE CHANCE TO TRY LANCOME ALBER ELBAZ COLLECTION! Love it! And I have GOOD NEWS for you all! You can get special promotion only at Galleries Lafayette during this October. With any purchase of Lancome at Galleries Lafayette until October 31st 2013. Please mention GLELBAZ01 and print out this page to receive a special gift of travel set worth up to IDR 300.000. While stock last. aaah kalian langsung ya abis dari event?? asiknyooo.... cantik tiaaaaa!!!! good luck ! !